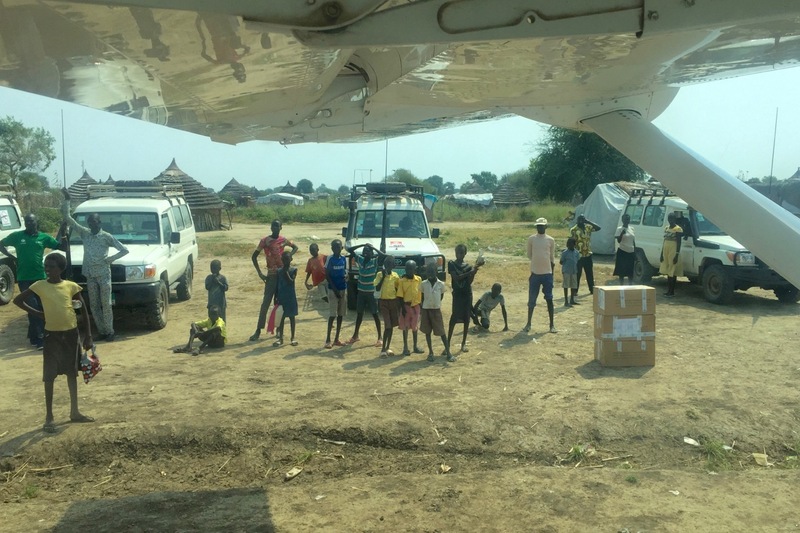 Alaskan doctor Katharine Andre recently finished a short mission with MSF in South Sudan. After a trip back home—and copious amounts of chocolate cookies—she is now in Tanzania as part of an MSF team working in Nduta and Nyarugusu refugee camps. Here she blogs about her first impressions of her new surroundings and the work she will be doing. Leaving Agok—the view from the plane just before takeoff. 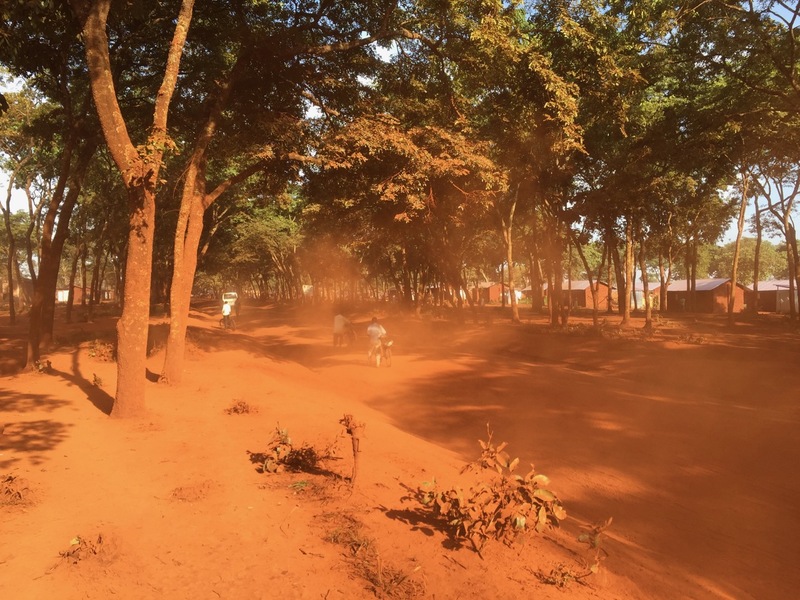 Starting from the dusty, cow-pat enriched airstrip in Agok, South Sudan, it was a four-day journey through Juba, Nairobi, Istanbul, Charlotte, and Atlanta to reach my parents' house back in Alaska. After my return, there was a week or so when my jet-lagged brain didn’t know day from night—though my body realized I’d been starving for six weeks and needed to do something about that. I stumbled around the house absentmindedly eating calorie-dense foods for days on end. A disturbing quantity of chocolate chip cookies, peanut butter, and fried chicken were consumed. Then there were the weeks when something was seriously wrong with my gastrointestinal tract and it took the monumental efforts of multiple people (extra thanks to you, Summer!) to acquire anti-parasitic drugs necessary to clear my presumed parasitic infestation. I’ll spare you the foul details. Then everything was OK and I spent Christmas and New Year's with my family while waiting for my next MSF assignment to start. 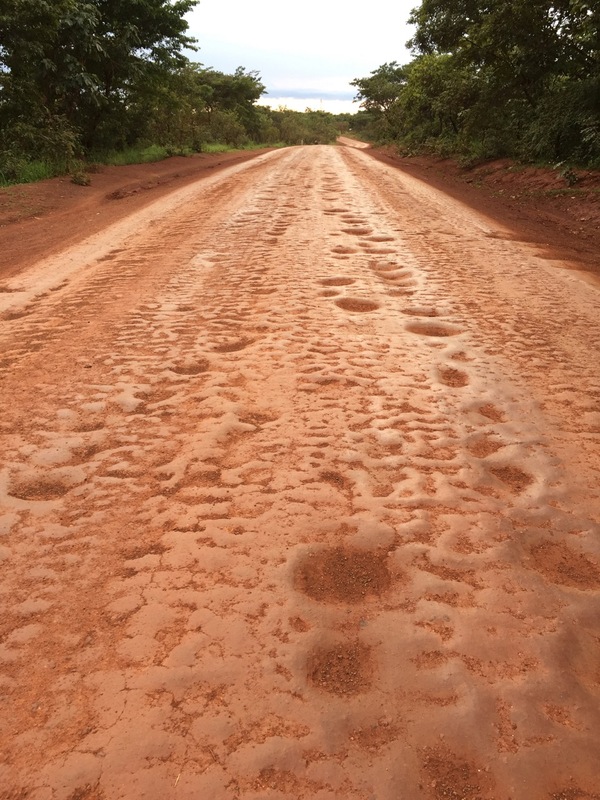 "A Wide Place in the Road"
Now I find myself in Makere, a tiny town in the western Tanzanian region of Kigoma. Someone politely called it "a wide place in the road". It features hundreds of erratically placed mud-brick houses hidden among trees, spread back on either side of the dirt road. Along this road, there are wooden shacks selling phone cards, sodas, alcohol, food, and bicycle repair. Opposite the MSF guesthouse is a wooden shack that serves as the "booking office" for a selection of transportation opportunities. People waiting for their ride hang out in the dirt lots on either side of the road. Available transport includes motorcycles, little buses, claustrophobic vans, and hatchback taxis whose windshields are half-covered in years of registration stickers and large bubble letters spelling words in Swahili or oddly translated English (CHIEF, SIDE BOY, FULL DVD, FULL JESUS). Why would you ever speed on this road? Why?! To add some excitement to my life, I walk on the road most days. When you hear a car coming, it's best to step off the road into the ditch. This is an easy maneuver, unless there's mud on the slope of the road or a nice puddle down in the ditch. Then things can change to disaster very quickly. I’ve only fallen into a mud hole once . . . in view of a crowd of small children . . . who laughed at me. Tents for new arrivals on the edge of camp. Someday they'll move to a small mud-brick house. Just up the road from Makere lies the Nyarugusu refugee camp. The camp has sheltered refugees for more than 20 years and now houses more than 130,000 people. It opened in 1996 during the civil war in the Democratic Republic of Congo (DRC). Open war ended in DRC and many Congolese refugees have returned home or made their way to other countries. 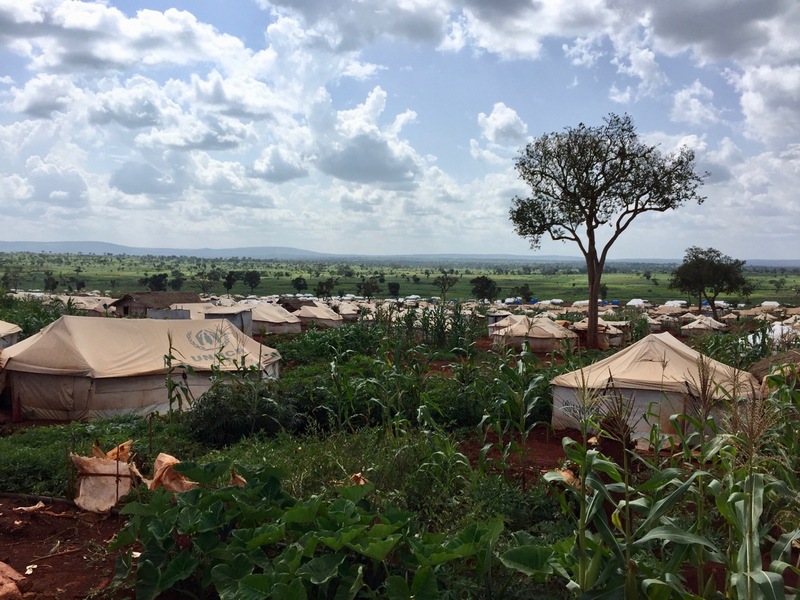 In 2015, civil unrest in neighbouring Burundi led to waves of new refugees to Nyarugusu. When it doesn't rain for a few days, the dust starts to get really bad. Everything is coated in orange dust and passing trucks kick up dust clouds that overwhelm walkers and cyclists. Here in the camp, we’re currently running malaria clinics and an emergency room stabilization unit. My clinical duties currently include morning teaching rounds with the clinical officer in this unit, followed by administrative work most of the rest of the day. A busy day in ER may see four kids with complicated malaria, pneumonia, or a sickle cell crisis and a handful of other kids with simple malaria and mild upper respiratory tract infections. So far, the project has been substantially different than my other MSF assignments. In the others, there were always too many patients, too much to do, and not enough hours in the day. Around here, although there are vast numbers of refugees, there’s more free time. 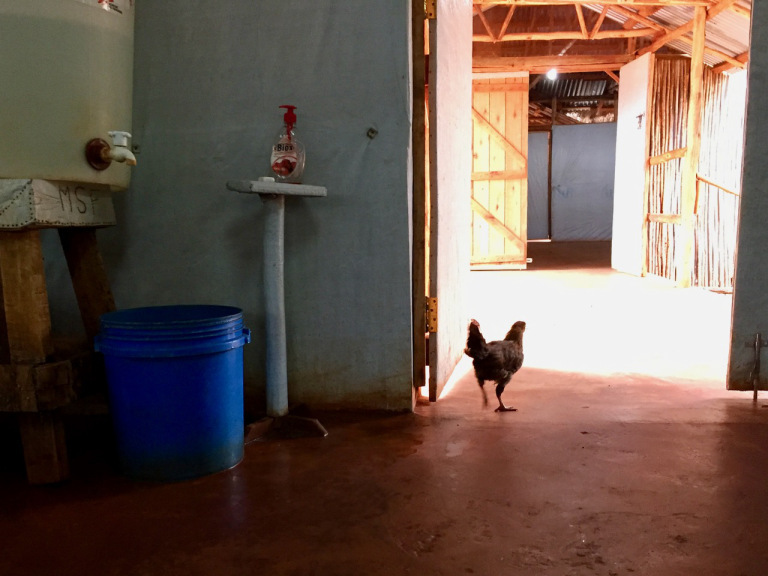 This is because the Tanzanian Red Cross is—and has been—the primary health care provider in Nyarugusu. MSF plays a support role in the camp. When Burundians started fleeing to Tanzania in 2015, MSF did what it does by moving quickly to assess and meet the needs of the new refugees. There were concerns that a number of potential events, including widespread cholera outbreaks, could lead to a dramatically worsening refugee situation. MSF put infrastructure and programs in place to be ready when those things happened. Thankfully, they didn’t. But that left MSF with more resources than they needed for this project. Agok had hedgehogs. Nyarugusu has chickens. I've chased this particular chicken out of the ER three mornings this week. She walks back in as soon as I leave. Meanwhile, the Nduta refugee camp sits up the road to the north. 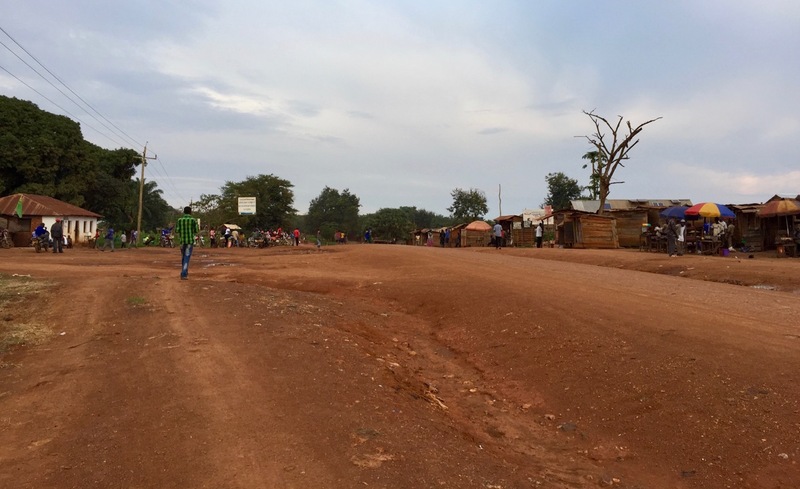 Nyarugusu is now closed to new Burundian refugees, but Nduta continues to receive them. In the last two years, Nduta has become home to 117,000 Burundians with thousands more arriving each month. MSF is the primary health care provider in Nduta with an expanding team working to meet the ever-increasing medical needs of the newcomers. While I’m underworked in Nyarugusu, they’re overworked in Nduta. I anticipate being sent to Nduta in the near future.